This website provides suggestions for family and friends of alcoholics who are drinking excessively. People who have an alcohol addiction don’t really mean to hurt those around them. Help may be found in many places and love or respect for an alcohol abuser can be restored, but it’s going to take time and effort on your part. If you’re ready to give up on a relationship or perhaps quit a job because of someone else’s drinking problem, DON’T! We have “Solutions For Alcoholic Relationships.” Make a decision right now to find the help that you need and learn how to cope with an alcoholic. You can become the “alcoholic’s friend” again. There is help for the alcoholic’s family and friends. It’s possible to have unconditional love for a husband, wife, son, daughter or friend who is destroying their life and the lives of those around them through substance abuse. It’s also possible to live at peace within on a daily basis even though the addict continues to be active in their addiction. If you’re seeking to find a way to make them stop drinking, you will not find one. You can learn how to live with them even though they may never seek out alcohol abuse treatment or a recovery program to help with their addiction. An alcoholic’s family is extremely affected by the choices of one person. That one person can be you today. Make a decision to find a place where there are people who can help you overcome your frustrations. Having experienced both sides of alcohol abuse, first as a user and secondly as a family member or friend of active alcoholics, I understand that all involved need some form of recovery program to help them get well. People on either side of the street are struggling with an addiction and need to seek out treatment for their individual illness. Why would I say that the non-drinker needs help or insinuate that they have an addiction? After all, it’s all their fault, right? Trust me the alcoholic’s family needs tools to help them on a daily basis to cope with all of the unexpected surprises. 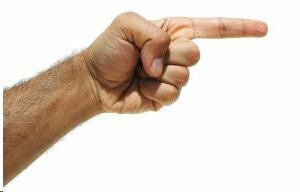 Do you find yourself pointing the finger at the alcoholic and blaming them for many things? Is your attitude one which thinks, “If only he or she would stop drinking, my life would be better”? Do you find that the state of your emotions and mood is dependent upon whether the alcoholic has been drinking or not? Do you feel that detaching from an alcoholic is stressful and hard to do? Is there an obsession with the alcoholic’s behavior… are you constantly wondering if they’ve been drinking or not? Is there a compulsion to go through their things to see if you can find evidence of them drinking or to discover where they are keeping their stash? Yes, we become addicted to obsessing over and trying to control the alcoholic’s behavior. Therefore, we, too, are sick and need treatment for our illness. One might say we become “control freaks.” Help for an alcoholic’s family is desperately needed. Finding a support program such as Al-anon is a great place to start. The truth of the matter is that we are responsible for our own actions and reactions. How we react or do not react to another’s actions is totally our responsibility. Therefore, we can find calm in the mists of the storm by changing our own actions and attitudes towards the alcoholic and ourselves. To think we have control over another human beings behavior is irrational thinking. We can only be responsible for our own lives. People who interact daily with the person who is drinking subtly become addicted to trying to control the dysfunctional behaviors of the active abuser. Confronting lies, arguing and constantly living in the mists of anger and anxiety seem to slowly become a way of life. Recovery begins with learning how to break the vicious cycle of accepting unacceptable behavior in a loving and peaceful manner. So what do we do? Where can help for an alcoholic’s family be found? We must learn how to respond differently and to protect ourselves from the experience of guilt and shame. The definition of insanity is doing the same things over and over again expecting different results. Al-anon says we must find the “courage to change.” Are you willing to admit that the treatment methods you have repeatedly tried on your own are not working? Behavioral intervention and the courage to change are needed for all involved. Both the drinker and the affected people need a friend to assist them in coping with the devastation they have been experiencing. The “friend” I am referring to can be a treatment center, website, therapy group, higher power, God, or an individual. Wherever sick individuals find compassionate help and understanding for what they are going through is where they have connected with friendship. As trust develops through time, our relationships with individuals or recovery programs get stronger as positive results are experienced. When we connect with others who are experiencing the hurt, rejection and pain associated with alcoholism, we will develop lasting friendships because of the commonality of our lives. This is why alcoholism intervention programs like Alcoholics Anonymous (for the problem drinker) and Al-anon (for friends and family of the alcoholic) are so successful. In actual fact, both groups are referred to as fellowships. Rehabilitation will only truly begin when alcoholics or the people affected by the disease make a personal effort to get help and seek out treatment. The son, daughter, boss, coworker, wife, husband or friend doing the drinking may never get into a recovery program, but the way we react to their behavior can and must change. Help for the alcoholics family begins with change. This website offers many suggestions (or, “ideas“) of ways in which behavioral recovery can begin for the friends or family members of the alcoholic. Even though the active drinker continues in their addiction, you can start getting treatment (or, “help“) for your struggles through reading literature and attending meetings. Helpful information can be gained and valuable friendships developed through attending support group meetings. Al-anon is a great place to start your rehabilitation process. Regardless of how you decide to make changes and work towards becoming the alcoholic’s friend again, let today be the beginning of finding help for yourself. Take small steps one day at a time by learning how to do things differently and my promise of peace will become a reality inside your individual life.